On visiting Sue in her home for this profile I was greeted enthusiastically by her dog and the first picture that caught my eye was her painting of that dog. Pet portraits can often be disappointing but this one stands out as exceptional. 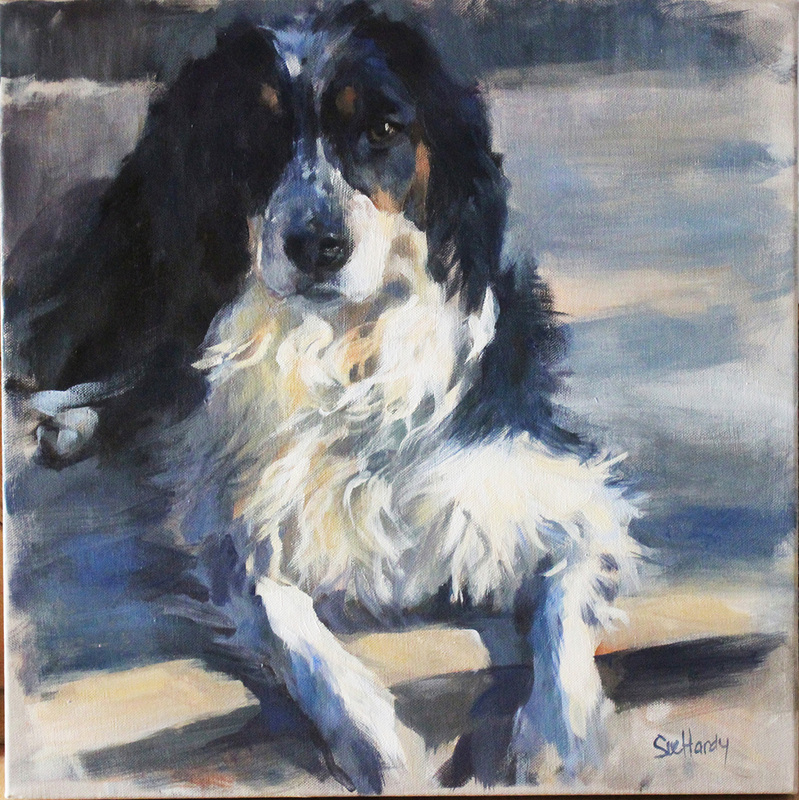 It tells us so much not only about a much loved and loving pet, but also about Sue’s exceptional abilities as an artist. And here is Sue’s dog. 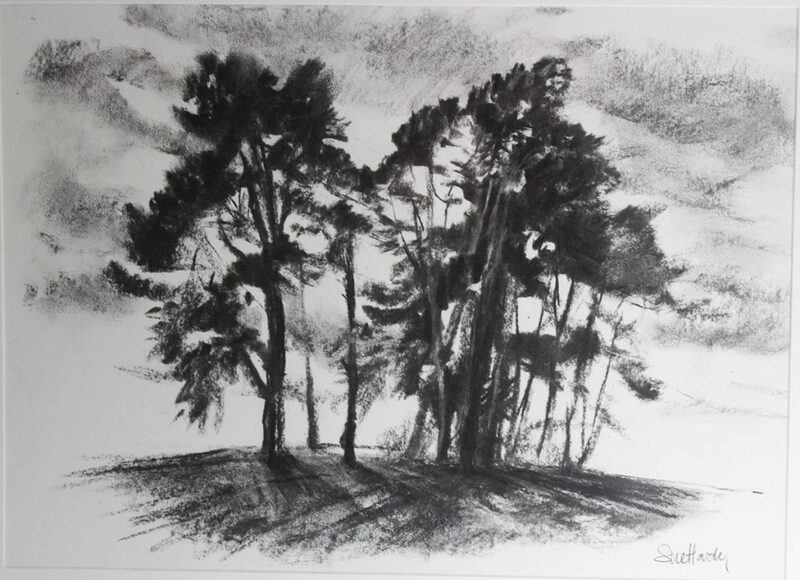 Sue can draw with rare skill and sensitivity, and that means anything, animals, people, portraits, trees, landscapes and cityscapes. 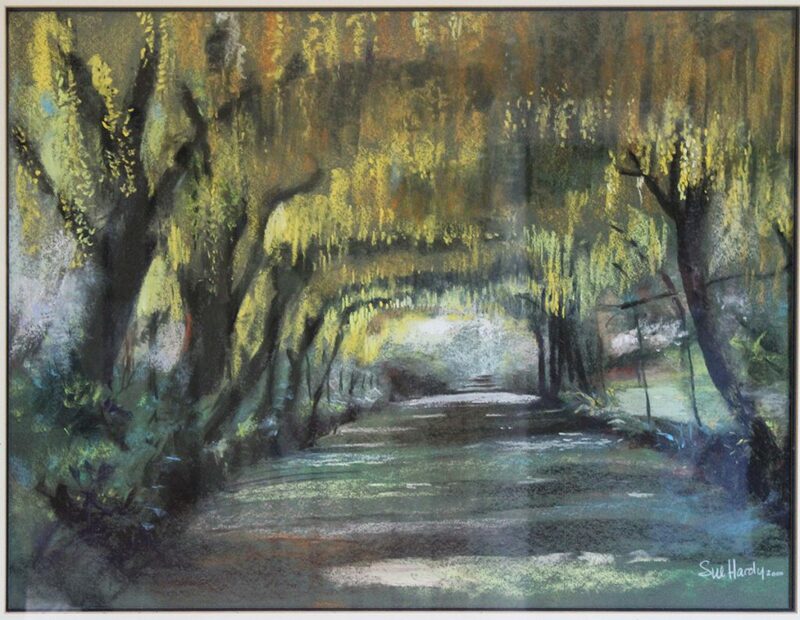 She draws using pencil and charcoal, and when moved to paint she is able to produce beautiful works in pastel, watercolour and oil showing a rare mastery in each medium. 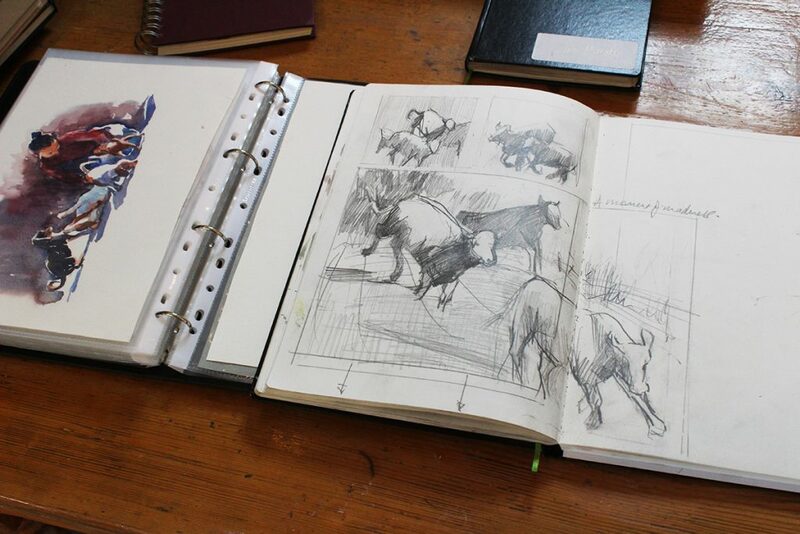 Starting from her pencil or charcoal sketches, or from her own photographs she then develops her compositions, even adding figures and animals from imagination and memory. 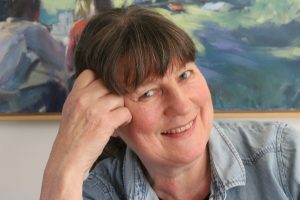 Since joining BAS Sue has made her presence felt both as a hard-working and thoughtful committee member; assisting Fletcher Robinson in planning and organising our annual exhibition, and as an artist whose work has attracted considerable attention and the winning votes for the most popular pictures of 2016 and 2017. So what of Sue’s background and artistic formation? Which art school or brilliant teacher stands behind her? 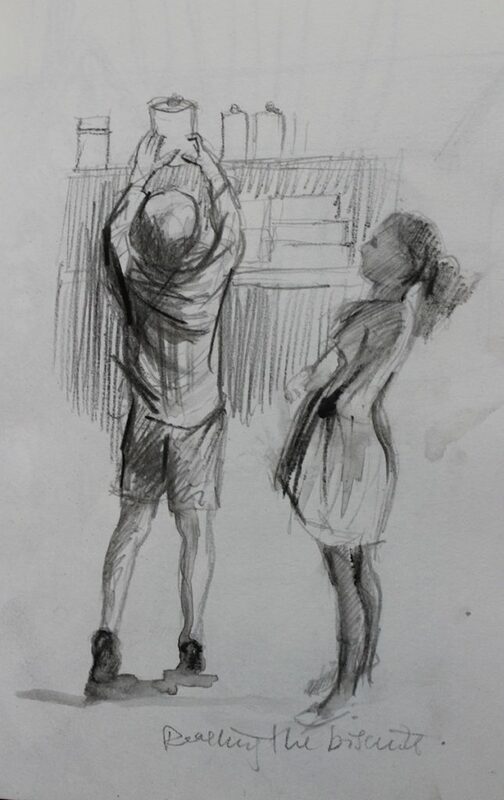 At school she told me, “The French teacher said, “If you are going to sit there and doodle in my lessons, you might as well go to the Art Room.” This she happily did and later at sixteen saw the careers adviser hoping to go to Art College. She was dissuaded and told to stick to Biology, her other favourite subject. This led her to a degree in Horticulture and Plant Science at Wye College in Kent, then part of the University of London and she embarked on a career as a horticulturalist, including a short stint as Head Gardener at Kingston Lacy. After some years she met up again with Richard who she had known at Wye, they married, had three sons & created & ran a plant centre together. Richard is now the MD of Orchard Park Garden Centre in Gillingham which Sue also helped develop & worked at for some years. How then with all this going on did Sue develop as she has as an artist? In the nineties she became ill with a debilitating condition from which she gradually recovered. 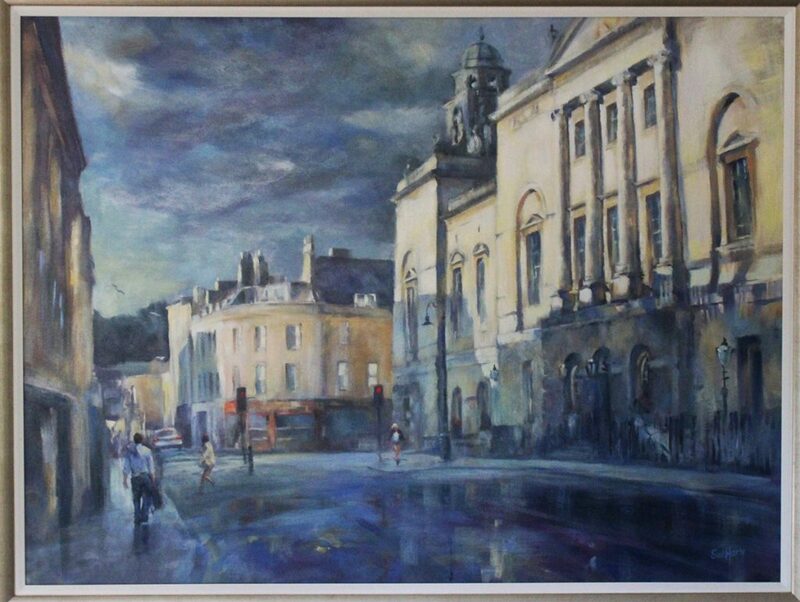 During this time she painted watercolour landscapes for various members of the family. . From there she became fully engrossed in Art, drawing, painting, reading and practicing, but all done without classes or a teacher. She then entered local art shows with great success. Sales, awards, prizes and commissions followed. 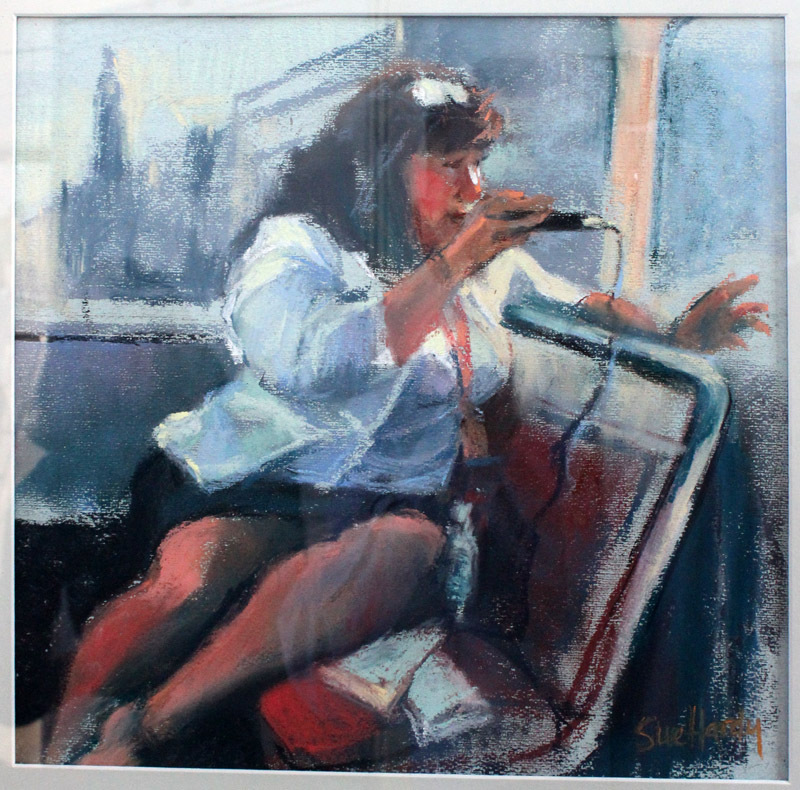 She now has a fine studio and sees art as her profession. 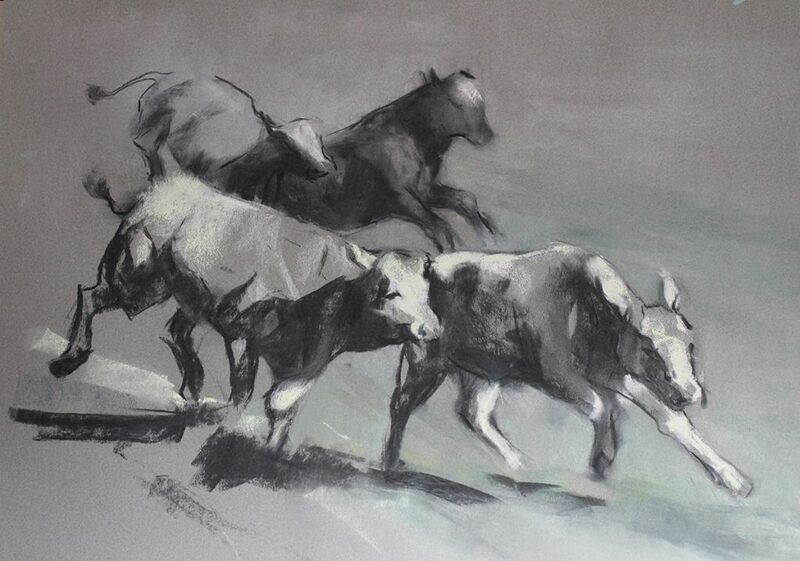 Together with the consummate skill her works show, when it comes to animals and people her work conveys a deep, unsentimental empathy, and her landscapes convey a real love of nature and the countryside, qualities which seem central to the person she is.